Need to stretch your iPhone/iPad app budget? 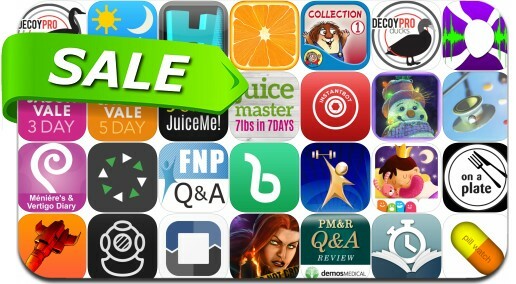 Here are 30 great iPhone, iPad and iPod touch apps that just went on sale. This app deal alert includes Morningstar: Descent to Deadrock, Submarine, SuperJuiceMe!, American Almanac, Maps 3D Pro, Jason Vale’s 5 Day Juice Challenge, 7lbs in 7 days, GymGoal 2, iUnit 2 and many others.